Philadelphia Eagles quarterback Carson Wentz suffered a fractured vertebra in his back and is likely to miss Sunday's key contest against the Los Angeles Rams, report said Thursday. Eagles coach Doug Pederson said Wednesday that Wentz had a sore back and a recent MRI exam revealed the extent of the injury which could force him to miss the rest of the season, ESPN reported. Wentz is expected to see more team doctors this week and he will have further tests to determine whether he can continue to play for the reigning Super Bowl champions. 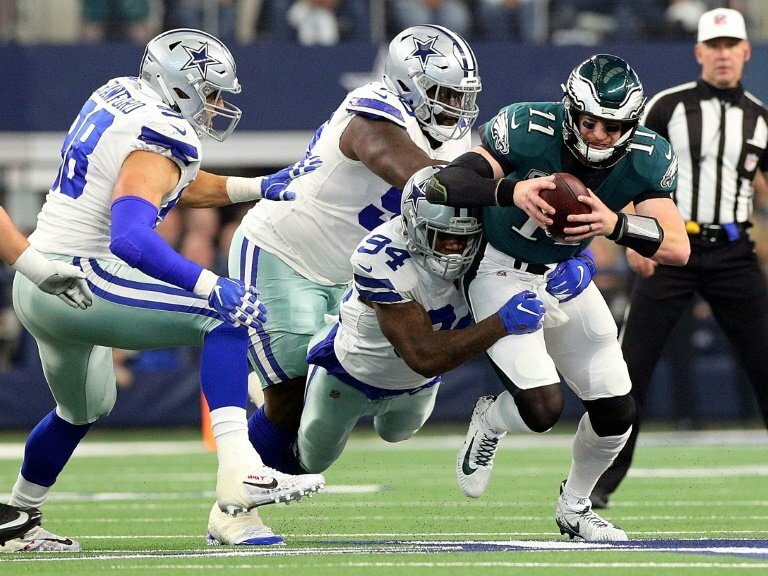 The 25-year-old Wentz played in Sunday's 29-23 overtime loss to the Dallas Cowboys, where he was sacked twice and hit five times during the loss. If Wentz is unable to play against the Rams, the Eagles will activate backup Nick Foles, who took over for an injured Wentz last December and guided Philadelphia to a Super Bowl title. Foles was named Super Bowl MVP. Wentz missed the first two games of this season while still recovering from a torn ACL and LCL he suffered in his left knee while playing against the Rams. Wentz injured the knee on a drive near the Los Angeles' goal line but instead of leaving the game for treatment he stayed in for a couple more plays as the Eagles pushed for the touchdown. Foles also started the first two games of this season, throwing for 451 yards with one touchdown and one interception. Foles guided the offence at practice on Wednesday as Wentz sat out. Selected second overall by Philadelphia in the 2016 draft, Wentz completed 279 of 401 passes for 3,074 yards with 21 touchdowns and seven interceptions in 11 contests in 2018.